Trapped inside her Soultaker sword, the soul of Katana is torn between staying with her murdered husband or rejoining the world of the living. 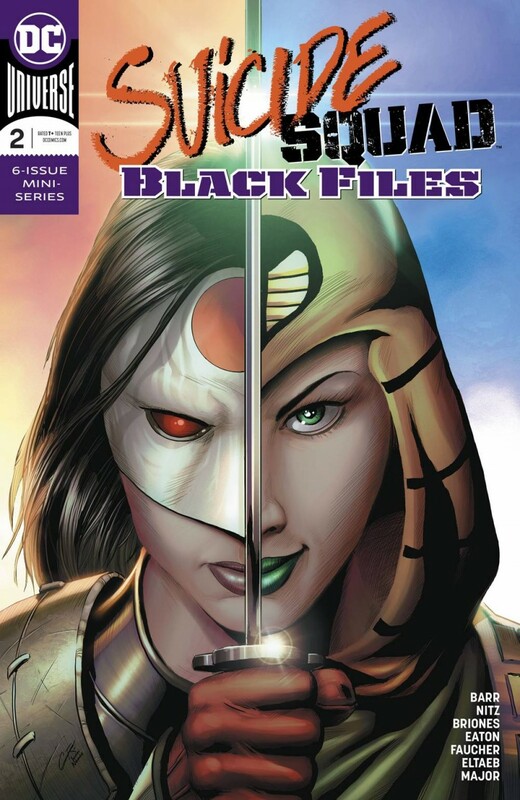 Meanwhile, Kobra’s Queen, Eve, makes nefarious use of Katana’s body as she infiltrates the Suicide Squad. Also in this issue, Suicide Squad Black tries to leave its deadly first mission in the past and get one step ahead of the apocalypse warlock, Sebastian Faust. To beat the sorcerer, this magically fueled task force needs something he covets. But like all things Suicide Squad, their next mission is no ordinary smash-and-grab, but rather a jewel heist on Gemworld!